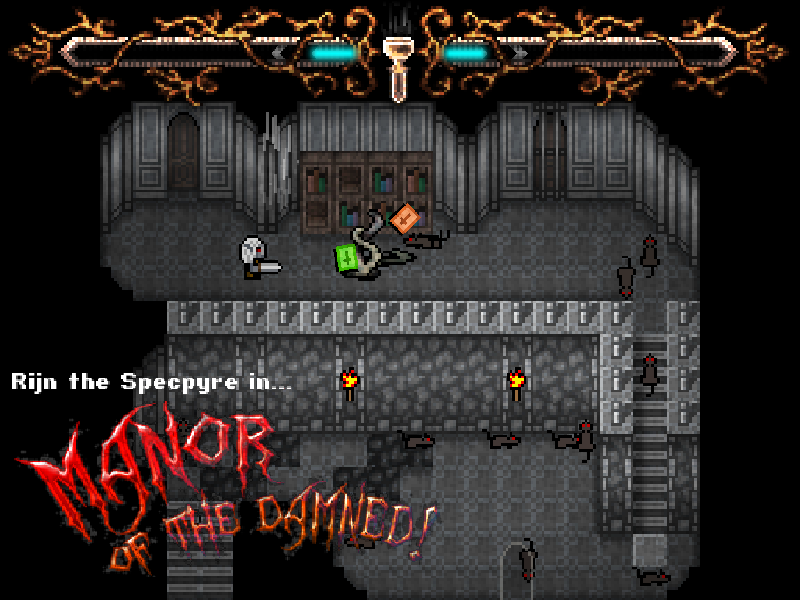 Rijn the Specpyre in... Manor of the Damned is new Vampire themed Action RPG game for Linux. You play as a destitute wandering vampire who agrees to help a village from terror of a raiding specpyre family. 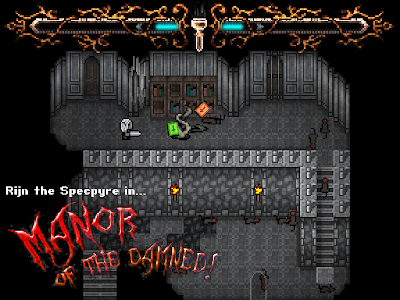 The game features multiple weapons, semi-destructible environments, retro inspired sound effects and graphics, an industrial music sound track, and vampires that turn into spectres and feed on souls. The game is available for $6 on Desura. However, you will get 30% off if you buy it in next 4 days. A Linux demo is also available as free download.